Take your studio wherever your production takes you…with Peplink and their Unbreakable VPN. So what exactly does Unbreakable VPN mean? As a leader in IP video workflows, Stream Dudes listens to the needs of our clients. In this case, the ability to transfer data. Especially between remote crews and local studios, hence our use of Peplink products. With Peplink, connecting with field production crews with your main base of operation or studio, is both easy and affordable. Using bonded cellular connection, in combination with Peplink’s Unbreakable VPN, you can access and share data (live streaming video, pre-recorded files, etc.) between locations with ease. 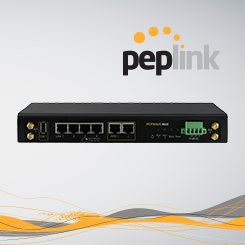 With networking solutions like the Pepwave Max HD4 and Balance VPN routers, Peplink is the next-generation of remote broadcasting. 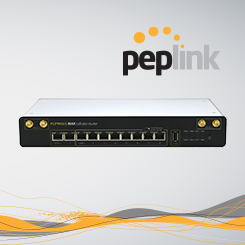 User-friendly, cost-effective and reliability, are all hallmarks of Peplink products, and the reason that Stream Dudes is a Peplink Certified Reseller. The Pepwave MAX HD4 quad LTE mobile router delivers outstanding performance from all your connections with the help of SpeedFusion bandwidth bonding and intelligent load balancing. The Pepwave MAX HD2 dual LTE mobile router gives you blazing fast connectivity on the road with dual embedded cellular modems and SpeedFusion bandwidth bonding, plus a built-in 4-port GE switch to reduce clutter in your mobile deployments. The rugged MAX 700 quad USB mobile router supports quad USB modems and SpeedFusion for fast, reliable connectivity anywhere, plus it includes a built-in 4-port GE switch to reduce clutter in your mobile deployments. Supports 250+ USB cellular modems from more than 100 carriers. From straightforward yet powerful dual-WAN routers for small offices, all the way to SFP+ capable 12-WAN enterprise routers, the Balance series has an ideal fit for any deployment fixed line deployment. Load Balancing and SpeedFusion bandwidth bonding to deliver superfast VoIP, video streaming, and data using an SD-WAN enabled network. Content caching technology enables on-the-fly content delivery and downloads. To learn how to improve your remote productions, or speak with a product specialists, Contact Stream Dudes for a customized workflow consultation. From the Peplink’s beginnings, Peplink ventured to design, as they describe, the most reliable and easiest-to-use routers. Since that time, Peplink developed multi-WAN VPN bonding (SD-WAN) routers and access points with features that consequently, other providers find difficult to match. From home-office users, to enterprise-branch networks; from the studio to emergency vehicles; Peplink aids 1000s of customers in the migration from traditional WAN to SD-WAN solutions. In addition, Peplink’s customers report increased bandwidth, higher WAN reliability, and lower costs. 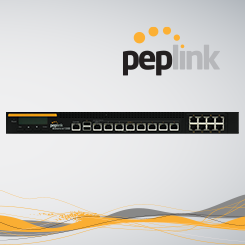 Visit Peplink to learn more about their products.